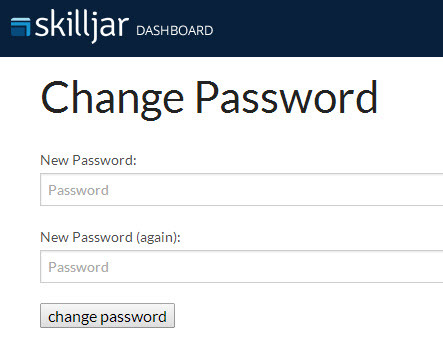 Input your email address and click "Reset My Password"
An email will be sent from cs@skilljar.com to the email address you provided. Click on the link included in that email. If you do not receive the email, please check Spam. Input your current password, new password, then new password again and click "Change Password"
You can now sign in using your new password!